It's almost time. 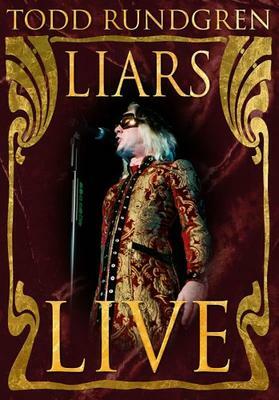 Time for the release of the Todd Rundgren Liars Live DVD. Release is scheduled for November 29 by Sanctuary Records and I can't wait. This will be Todds first live DVD of recent concert footage in quite a number of years and it promises to be a good one. In my youth I followed Rundgren religiously, attending concerts and collecting every record album that I could get my hands on. I stopped following Todd for a number of years when the responsibilities of adulthood took over but had chance to see this show in May 2004 with my wife Susan, Sister Lisa, and Brother-In-Law Bart. My wife had never seen Todd live before and I know she had a great time. She seemed to particularly rock during the heavy riffs by bassist Kasim Sultan. That show sparked a flame in me and I'm once more a serious TR fan. I highly recommend this DVD for any serious rock music afficionado. Well, did you get it yet? I'm already watching mine.